Hilgard Hall at UC Berkeley (note the noble sheep capping the pillars). UC Berkeley is the original land grant university in California, which means it gets federal money for agricultural research and extension. The motto on Hilgard Hall demonstrates this heritage: “To rescue for human society the native values of rural life.” Since arriving, I have been lucky to meet and eat with some of the impressive folks who carry this out. Today I had lunch with Nathan Sayre, geographer, historian and qualitative scholar of rangelands, and had a wide-ranging chat about the many intersections in our interests. I’m looking forward to reading his new book, The Politics of Scale: A History of Rangeland Science. 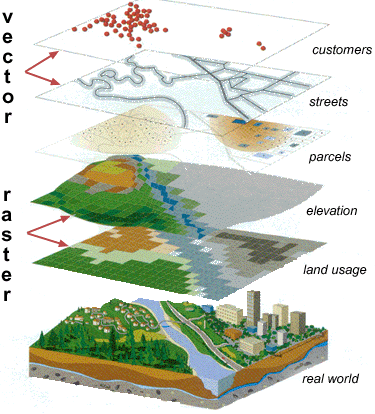 From Maggi Kelly: the days of the cartoon ‘desktop’ model of GIS (we’ve all seen the clipart) is over due to multiple stressors such as the explosion of data sources and open software, including new sensors. News to me were platforms such as the hundreds of nano and micro ‘cubesats’ launched in ‘flocks’ in low earth orbit (see Planet) to achieve high spatial and temporal resolution. Nancy Thomas demystified open data terminology and data types, including introducing the lightweight GeoJSON* format, which – prepare yourself – can hold points, lines and polygons in the same file and readable by human brains.